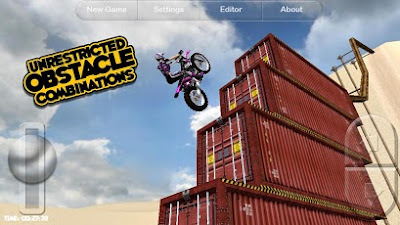 • Motorbike is a game designed on a realistic physics engine. • It comes with 80 original tracks by baKno Games. 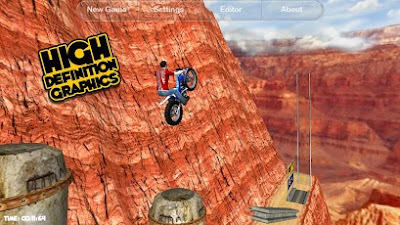 • It also includes thousands of fantastic online tracks submitted by other Motorbike enthusiasts using the track editor that comes with the game. • The track editor allows users to create custom tracks, save them on their devices, play them anytime, and post them to baKno to be included as online tracks. 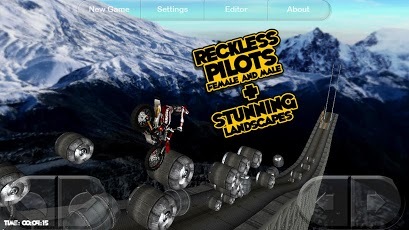 • You can customize the rider, his/her outfit, the bike model and the bike color. 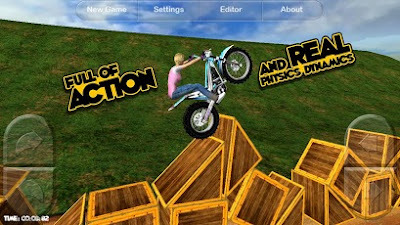 • You can also customize the placement and alignment of the tap controls, or whether you prefer to control the rider with the device’s accelerometer. • The location of the game can be changed to 4 thrilling mountainous landscapes. • Finally, the game includes exhilarating music and sound effects.